can cost you valuable time and attention. 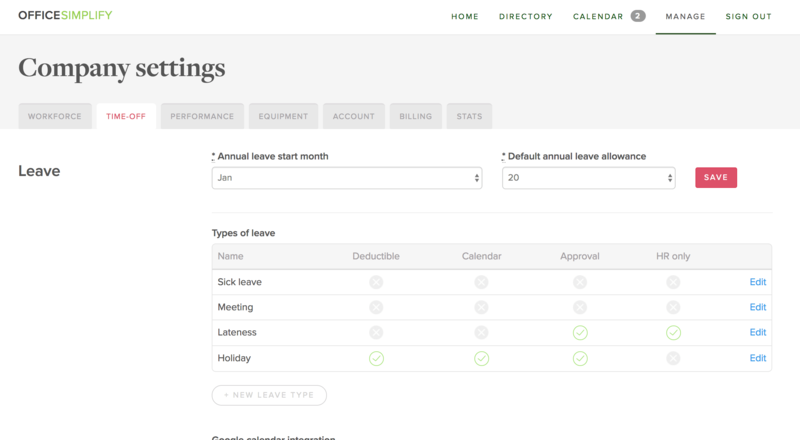 Every employee has their own dashboard, here you can easily check your allowances and your current time off requests. Time-off is requested directly from your dashboard. For a team manger it's super easy to check an employee's allowance, no need to try find that outdated spreadsheet somewhere on Dropbox. 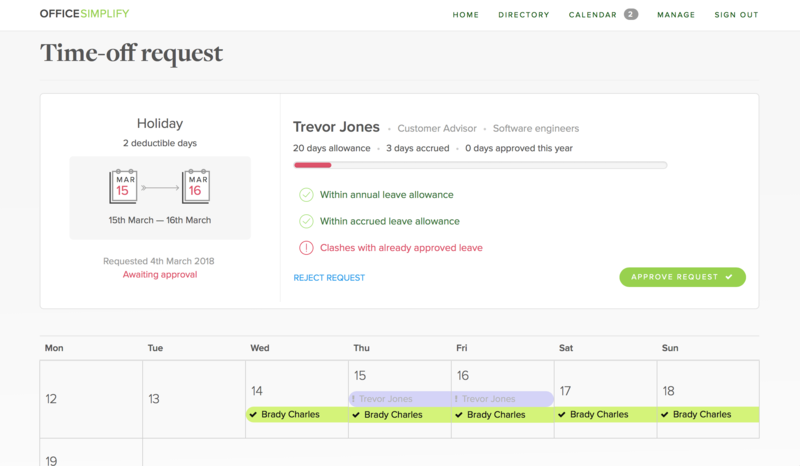 Employees have an easy and a standardised way to request time off, these can be for Holidays, Sickness, Maternity leave and others. All leave types are configurable by the company administrator. If a time off request doesn't require approval by the manager it is auto approved. Sickness for example tends to be an auto approved leave type. Once a time off request is submitted, the managers in charge of the team will receive a notification about the request. Clever reminders are sent to the manager to keep their response timely. 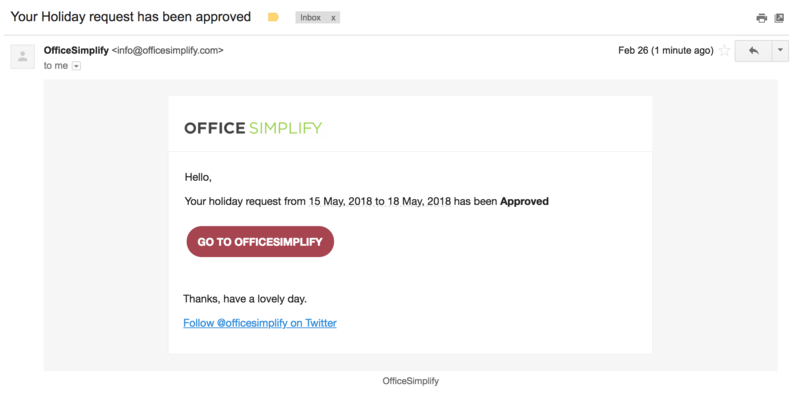 OfficeSimplify will also assist with decision making, idenitfying any clashes with other approved requests or when the employee is outside of accrued days. This helps to prevent surprise shortages of on duty staff. Once the request has been approved or rejected by the manager we'll notify the employee. When time off request are approved we'll add them to the Calendar, and push it to your Google calendar if setup. HR members and company administrators can customize OfficeSimplify to meet company needs. 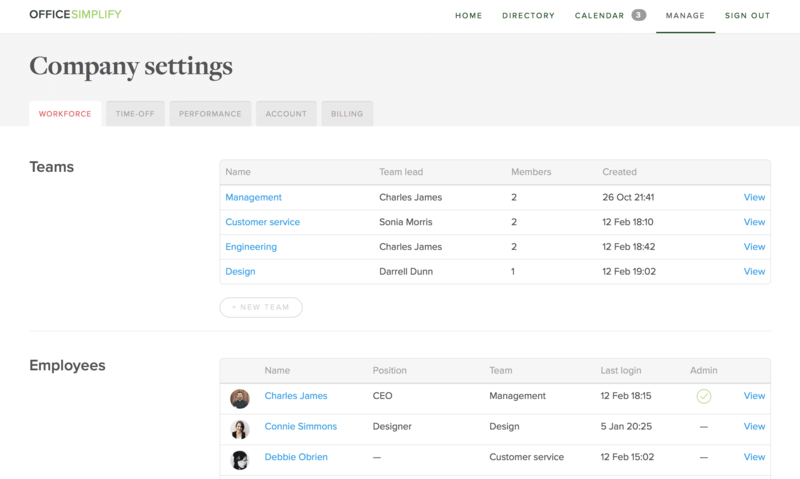 Group your employees into teams and assign a team manager/s to manage their time off requests. 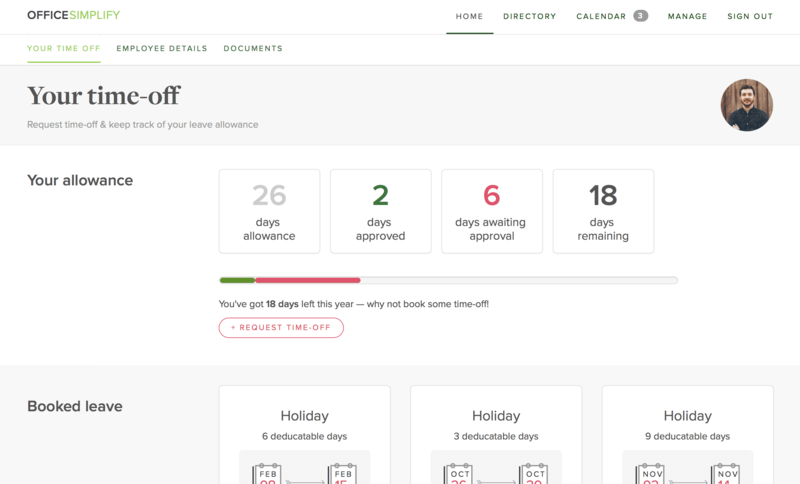 This allows you to spread the workload to the people that have more insight on whether they are able to approve or reject time off. We auto populate your country's public holidays when you sign up. These will show up in your Calendar and are visible to everyone. 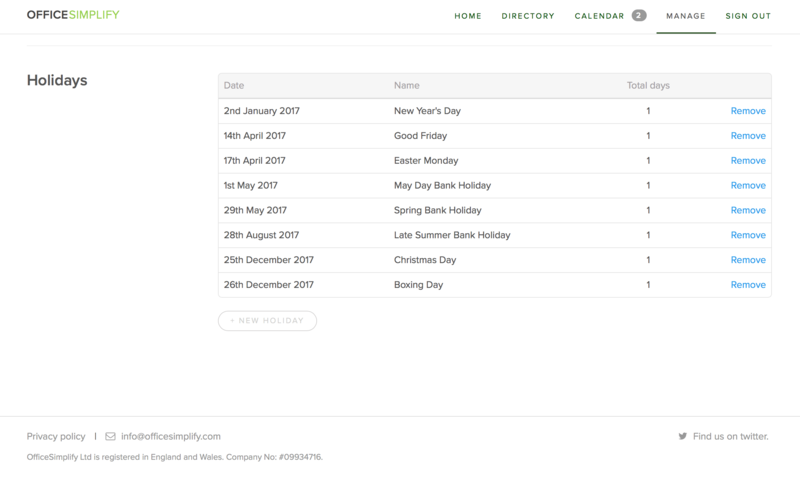 As a company administrator you'll also have the ability to create your own company holidays or shutdown periods. Ready to save a bunch of time? There is a 30 day free trial period and companies under 5 employess are free!